Fat is the body’s powerhouse. Not only does it provide energy for various human body systems and functions but it also stores the excess energy the body doesn’t need immediately. 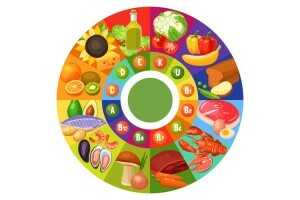 Fat is key to healthy cells, brain, vitamin absorption and hormone production. However, fat has a bad reputation, despite it being an essential part of a healthy diet. That’s because all fats are not healthy; some kinds of fats subject your body to certain health risks. Based on their chemical nature, fats are broadly grouped as saturated (SFA), monounsaturated (MUFA) and polyunsaturated (PUFA) fats. To help you figure out if you are intaking the right type of fat, here is an explanation on the different types of fat. Found in plant foods and in certain fishes, unsaturated fats are healthy for you and your heart, compared to other types of fats. 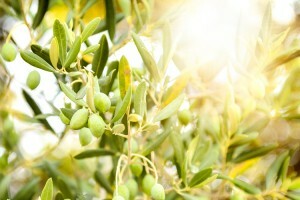 Oils from source such as olive are rich in monounsaturated fatty acids. Consumption of MUFA-rich diet is known to improve blood cholesterol levels, and reduce the risk of heart disease. Besides, it helps keep insulin and blood sugar levels under control. 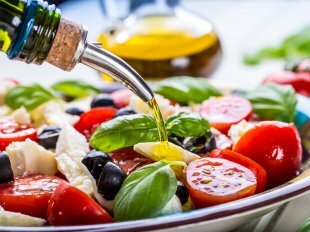 Olive oil is one of the healthiest cooking oils, thanks to high MUFA content, and is therefore, best suited for Indian cooking. Linoleic (n-6) and linolenic (n-3) acids are simple polyunsaturated fats. These types of fats are found mainly in plants and some animals. Salmon, vegetables, and certain nuts and seeds contribute significant amounts of PUFA. Polyunsaturated fats are known to lower your LDL (bad) cholesterol. 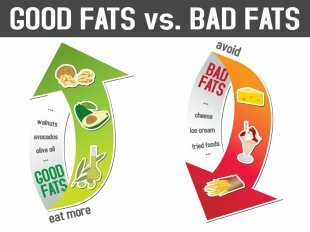 Fats from animal fats (ghee and butter) and animal foods like milk, milk products and meat provide saturated fats. High intake of saturated fats is known to promote the formation of fatty deposits in the arteries, raising total blood cholesterol levels and low-density lipoprotein (LDL) cholesterol levels. Excess consumption of saturated fats may increase the risk of falling prey to Type 2 diabetes. 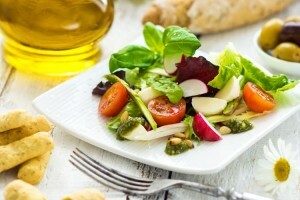 Thus, the dietary recommendation would be to restrict the intake of saturated fats in diet. 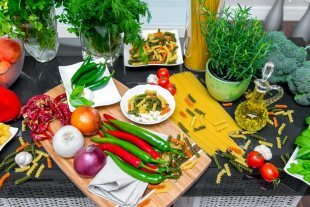 Instead of consuming butter, which is high in saturated fat, use olive oil for cooking purposes. 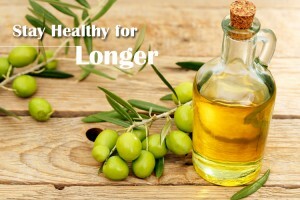 Previous Is Olive Oil a Right Choice for Cholesterol?